Not quite a bed and not quite a chair, the chaise lounge is one piece of furniture that most people associate with elegance and style. 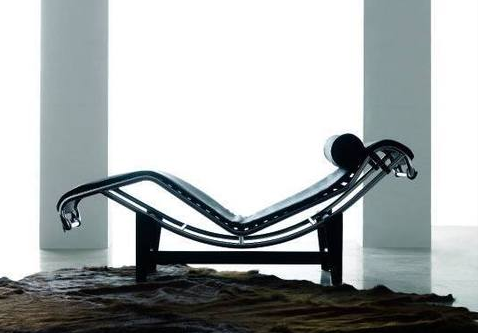 Chaise lounges are both practical and indulgent which is why they have grown in popularity throughout the centuries. Many cultures and civilizations have shown a deep love for this luxuriant item that allows one to relax without lying down completely. But how much do you know about this exquisite and ornate piece of furniture that is also a piece of art? Here is a brief history of this time traveler. What appear to be pictures of a chaise lounges have been found among the excavations of ancient Egyptian tombs. Moreover, this “long chair” is believed to have been used by both affluent and less affluent members of Egyptian society. In the case of the rich, the chaise would probably have been made of wood and ivory. The poor would more likely to have made theirs out of palm sticks and wicker. In 8th century Greece the chair was known as a kline or klinai. There it was commonly used in social gathering, forums and symposiums. The Ancient Romans eventually adopted the chaise but did not include upholstery and was made of wood and brass. Moreover, being very practical people the Romans reclined in their chaise lounges in the daytime and slept in them at night. During the 16th and 17th centuries the chaise lounge was transformed into a modified daybed. During these times, the chaise lounge and chair become almost exclusively associated with wealth and prestige. Today’s chaise lounges and chairs have gone through centuries of refinements so that they are both practical and luxurious. They are used by many as a stylish bedroom accessory. However, they can also be found in sun-rooms, reading rooms, gardens or anywhere else the owner desires to rest in repose. One of the designers who have put their own mark on the chaise lounge is Swiss-French architect, designer and painter Charles-Édouard Jeanneret, (known as Le Corbusier). His Le Corbusier chaise is a mid-century modern interpretation of this beautiful item. The chair and the lounge’s functionality and elegant design have remained the same throughout these many changes. We invite you to browse some of our chaise lounges and chairs. We also have furniture pieces that are representative of many styles including a Bentwood chair by Thonet.